George Papadopoulos, the Trump campaign adviser who triggered the Russia investigation, was sentenced to 14 days in prison Friday after he told a judge he was “deeply embarrassed and ashamed” for lying to the FBI about his contacts with Russian intermediaries. U.S. District Judge Randolph Moss said Papadopoulos’ deception was “not a noble lie” and said he had lied because he wanted a job in the Trump administration and didn’t want to jeopardize that possibility by being tied to the Russia investigation. “In some ways it constitutes a calculated exercise of self-interest over the national interest,” the judge said. Moss noted that many similar cases resulted in probation but said he imposed a sentence of incarceration partly to send a message to the public that they can’t lie to the FBI. “14 days for $28 MILLION – $2 MILLION a day, No Collusion. A great day for America!” the president tweeted. Memos authored by House Republicans and Democrats, now declassified, show that information about Papadopoulos’ contacts with Russian intermediaries triggered the FBI’s counterintelligence investigation in July 2016 into potential coordination between Russia and the Trump campaign. That probe was later taken over by Mueller. He said Papadopoulos’ deception required investigators to scour more than 100,000 emails and gigabytes of data to reconstruct the timeline of his contacts with Russians and Russian intermediaries. In response, defense lawyer Thomas Breen said his client was “remorseful” that his lies impeded the investigation. Papadopoulos lied because he was torn between wanting to cooperate and wanting to remain loyal to a president whose administration he hoped to join, Breen said. His client was also affected by Trump’s cries of “fake news” and his casting of the Russia investigation as a “witch hunt” just days before his FBI interview. Breen described his client as a “patriot,” who wasn’t trying to help Russia. But he acknowledged that Papadopoulos was unsophisticated, naive and even a “fool” for having made contacts with Russia intermediaries during the campaign. That clashes with what Sessions, a key campaign aide and now Trump’s attorney general, told the House Judiciary Committee last November. In that testimony, Sessions said he resisted the idea of any Russia meeting proposed by Papadopoulos. Outside the courthouse Friday, Breen said Papadopoulos didn’t recall ever telling anyone in the campaign about the fact that Russia had dirt on Clinton in the form of emails. “We have seen no such thing. We have seen no entrapment. 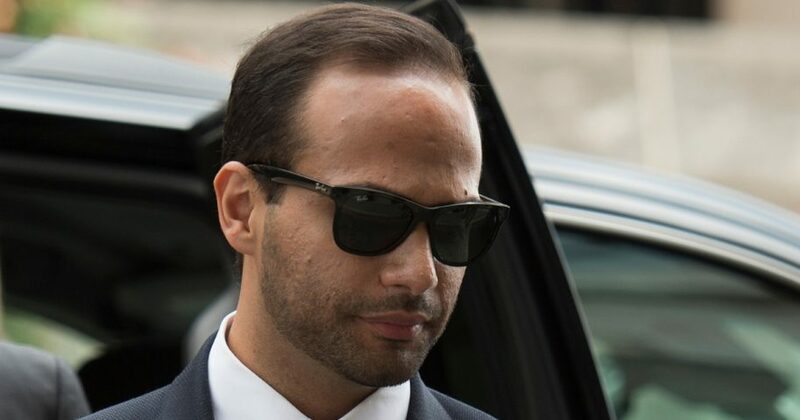 We have seen no set up by U.S. intelligence people,” he said, noting that he also had no reason to believe that Papadopoulos was the subject of a warrant obtained under the Foreign Intelligence Surveillance Act.